Doctor was very thorough, and his experience and professional demeanor, are why I’m giving him 5 stars! Dr. Eric Pearlstein is a complete lifesaver! I started seeing him 12 years ago with intense eye pain and many otherdoctors on three continents were unable to help me but Dr. Pearlstein changed my prescription and completely saved my life he is truly the best! Dr. Eric Pearlstein is a complete lifesaver! I started seeing him 12 years ago with intense eye pain and many other doctors on three continents were unable to help me butDr. Pearlstein changed my prescription and completely saved my life he is truly the best! Eric Pearlstein is a detailed and committed ophthalmologist providing quality care to his patients in Brooklyn, NY. Dr. Pearlstein is certified by the American Board of Ophthalmology. He is a fellow of the American College of Surgeons and is a member of their committee on applicants. He has an extensive educational background. Dr. Pearlstein attended the State University of New York’s Downstate Medical Center to receive his medical degree. He then completed his internal medicine internship at the Maimonides Medical Center before attending the North Shore-LIJ Health System, where he completed his ophthalmology residency as chief resident. 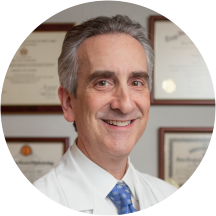 Dr. Pearlstein then completed a one year fellowship in anterior segment and cataract surgery at the University of Minnesota. Dr. Pearlstein welcomes patients to his practice who are experiencing eye emergencies, eye infections, vision loss, dry eye, stye eye, cataracts, flashers and floaters, and macular degeneration. Some of the services and procedures that he offers include eye surgery consultations and follow-ups, developmental vision exams, and glaucoma consultations. Dr. Pearlstein understands the necessity of vision and the discomfort of eye problems, and he takes great care to ensure that his patients are regarded with delicate and precise care. Dr Pearlstein was very thorough and took time after exam to go over everything. Highly recommend. Thorough and everyone is professional. The receptionist at the front desk were so wonderful & friendly. The doctor is top notch as well. I highly recommend this office! He is professional, knowledgeable and has an excellent bedside manner. He explains every detail of examination and takes his time. Doesn't rush you out. Excellent doctor. Horrible front staff with absolutely no bedside manner. Each question is met with a rude demeaning remark, and the doctor just watches on as his staff treats patients this way!!! There are better doctors in the area. I o felt my visit to Dr. Pearlstein went very well. His staff was friendly and efficient. Dr . Pearlstein was professional and took time to explain issues with my eyes in a way that has never been done before. Iwas very pleased the whole experience and I recommend him highly to others. He took his time with the exam and was very thorough in his explanations. His staff was also very nice. I am a patient Dr.Pearlstein for over 10 years. As always he was very thorough on his examination and was very clear while he was explaining to me. I highly recommend Dr. Pearlstein. He is professional, thorough, and extremely kind. He answered all my questions clearly. His staff are also very efficient and gracious. All in all my visit was a wonderful experience. Don’t hesitate to make an appointment with this excellent doctor. He's very business like, not very warm at all. His staff doesn't let you know that a visual field is extra on the insurance bill. I also want to point out that he gave me the wrong prescription for my glasses.Thank fully I was able to get my money back at Warby. Very thorough, professional and experienced. no wait time, staff professional and friendly, dr patient, informative, professional and pleasant. I am glad I found this office. I was having an issue with my eye and was able to make a same day appointment. Front desk staff and doctor's assistant were friendly and professional. The doctor himself was a bit quietbut kind, gentle, and answered all my questions. I'll definitely be going back. Have been seeing Eric Pearlstein for many years now and have always found him to be pleasant and professional. He takes the time to listen and answer questions. Would highly recommend him. His explanation of the diagnosis was clear. His plan of action made sense. I am very glad that I found him. Dr. Pearlstein was very thorough and most of all he had patience.The staff courteous and efficient. Overall it was a pleasant experience. A fabulous doctor, a kind staff and a quaint office with lots of character. I really appreciated the amount of time Dr. Pearlstein provided us. We came for what we felt was a small medical clearance but left with much moreinformation. We are scheduled again for a follow-up next week and will edit the review if anything changes, but I'm sure it won't. Don't think twice - just go! Dr. Pearlstein was very thorough in his evaluation of my eye problem. If you are not sure who to go to, go to Dr. Pearlstein since he is an astute, top notch opthalmologist. Very right to the point visit, no small talk. Dr. Pearlstein is very professional and a gentleman. His staff is very pleasant and puts you at ease right away. The office is run in a very professional manner and is a very relaxed atmosphere. Exam was thorough and follow up was seamless. Highly recommend! Dr. Pearlstein is excellent. He takes the time to explain everything. You never feel rushed. will continue with Dr Pearlstein, and recommend to family to friends. Staff welcoming and professional also, very pleased. Having been other places where you can feel like nothing but a number, it was refreshing to be treated like a person, by a professionally run office. Dr. Pearlstein is thorough and takes time to explain what is going on with your eyes. His staff is helpful, attentive and efficient. Dr. Pearlstein was professional, competent, polite, and a true gentleman. The two women at the front desk (Melissa, I know, is his MA) were FABULOUS -- professional, courteous, solicitous, accommodating. I would recommend this doctor to anyone! I barely completed my forms when his assistant called me into the exam room. Both the front desk person and assistant (Ariana and Melissa) were welcoming and friendly. Dr. Pearlstein has a professional, calm and patient bedside manner. I neededan unanticipated procedure and it was explained thoroughly and performed painlessly. Very nice practice. Always a pleasure! Our whole family goes there.